With Active Query Builder you can easily add objects to your query by dragging them from the database objects tree or using the Add Object window. 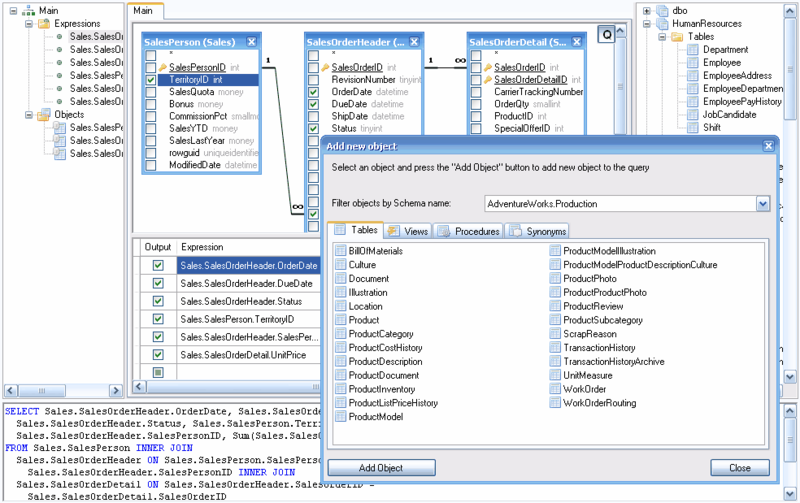 Objects can be grouped by the database, schema name and object type. Objects linked with foreign keys are joined automatically. You can allow or deny the end-user to create and remove joins manually.